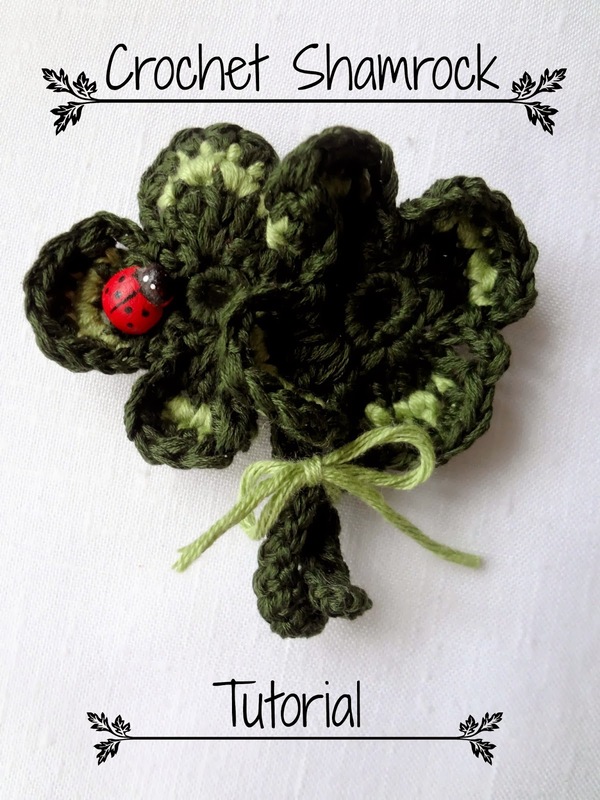 I thought it would be great to celebrate St. Patrick's with a couple of shamrocks so here's a tutorial for you to crochet a few. Make 8 sc in ring. 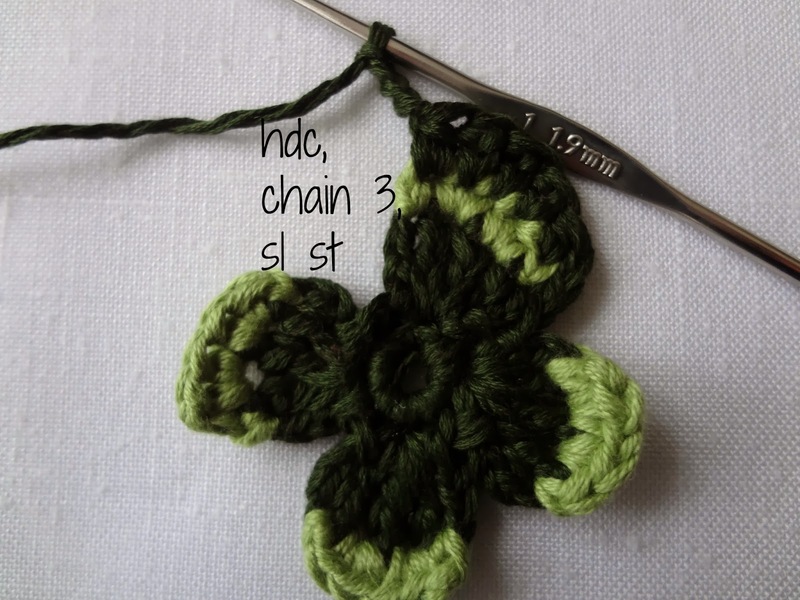 Round 1: *Chain 3, in the same space make 3 dc, chain 3 and end with a sl st. Make a sl st in the next stitch. 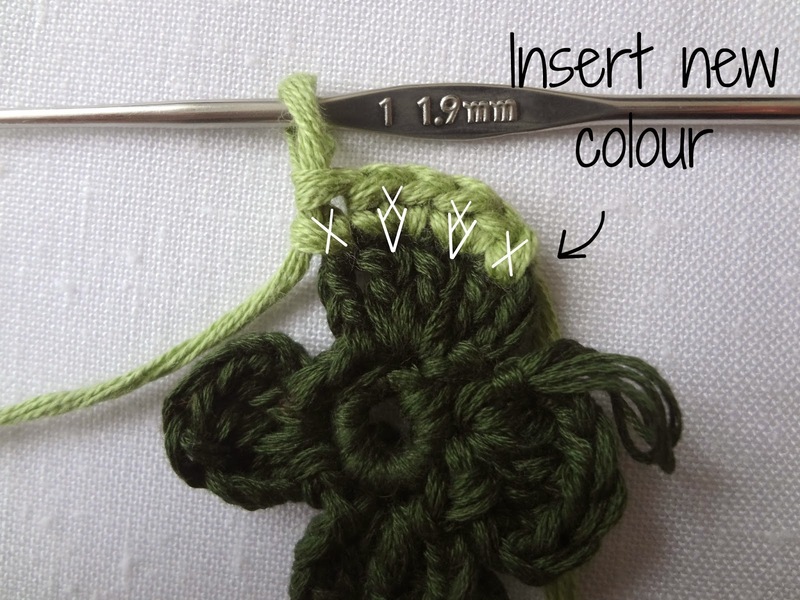 Make another sl st in the next stitch* and repeat pattern from *to*. 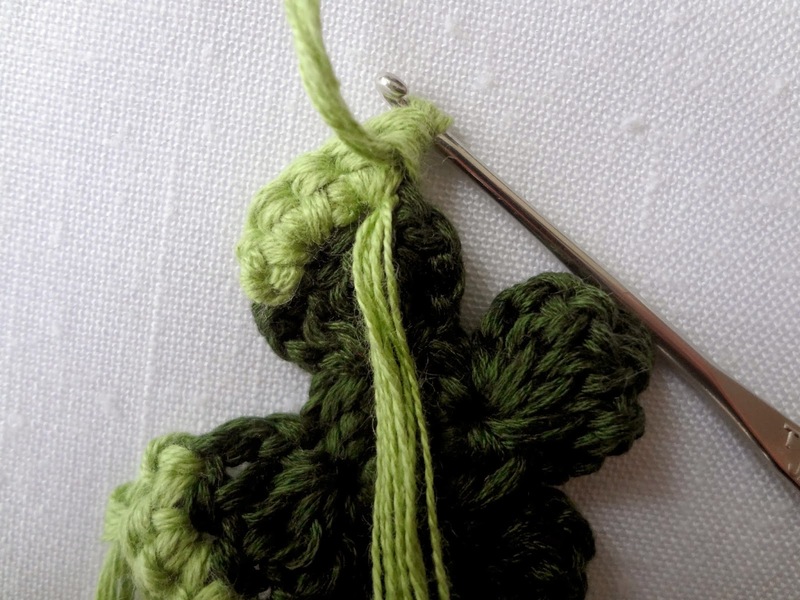 When you make all four, leave that stitch alone. You'll get back at it later. Round 2: Insert new color in the 3-chain you started with. 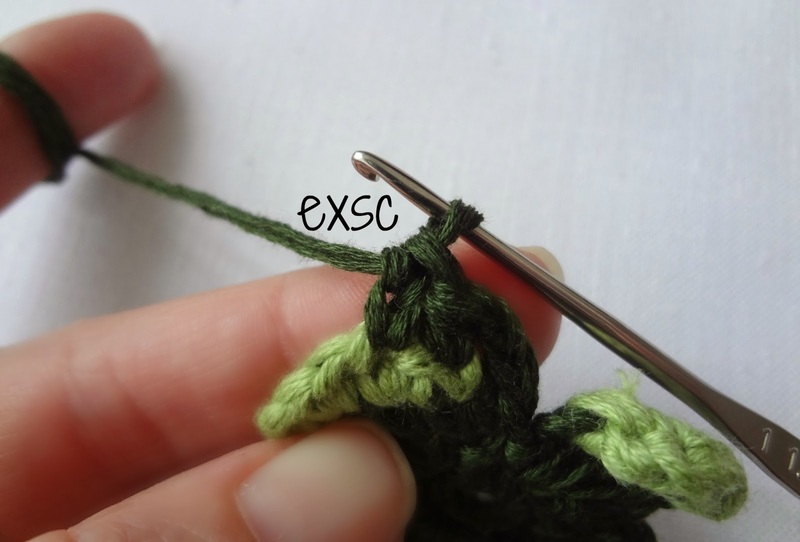 Next, increase by making 2 sc in the second and third stitch, sc in the fourth. 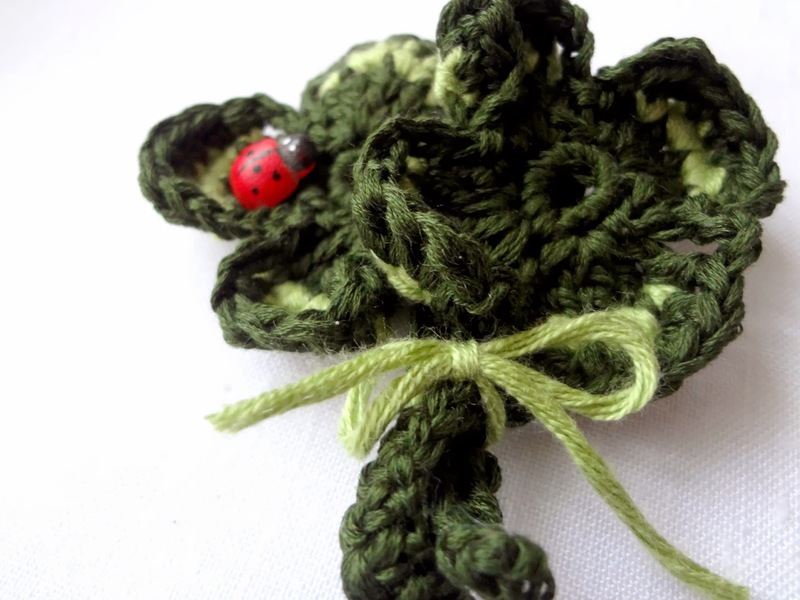 Cut yarn, tie a knot and weave in the tail. 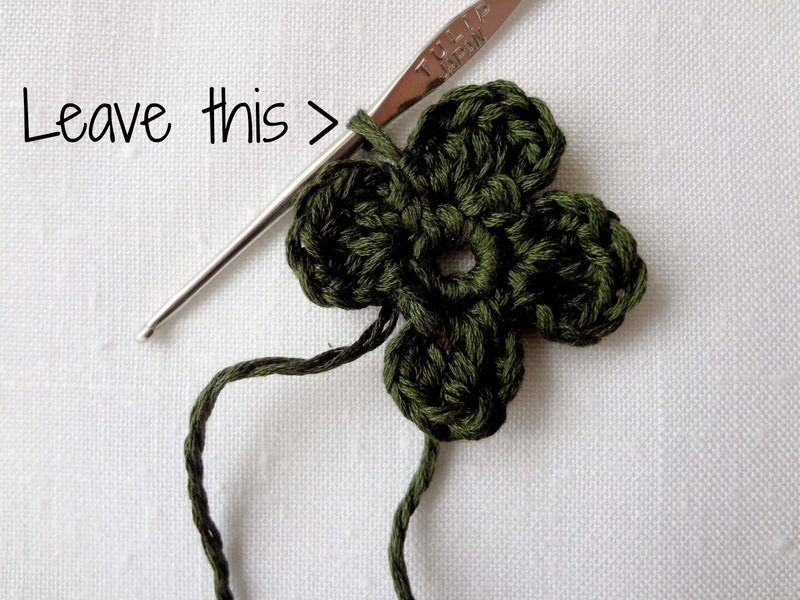 Repeat this for all four leaves. 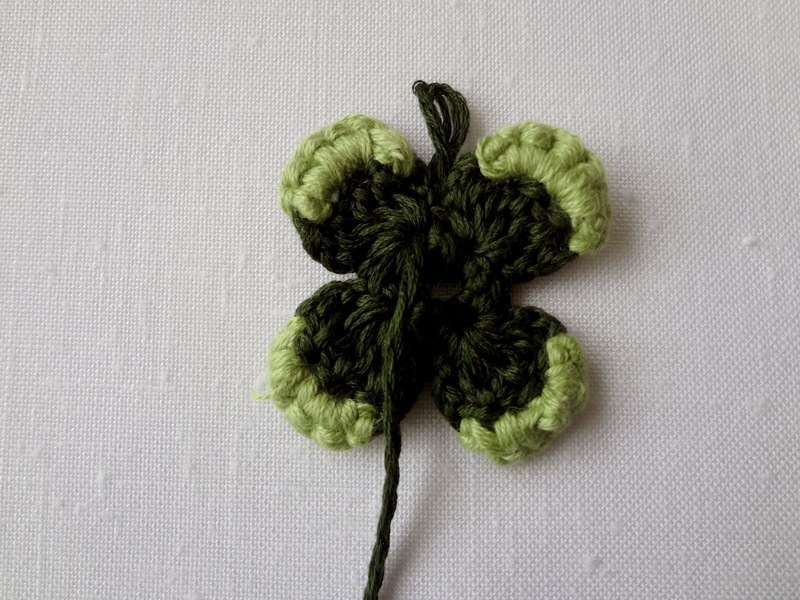 Here's the back of the shamrock. 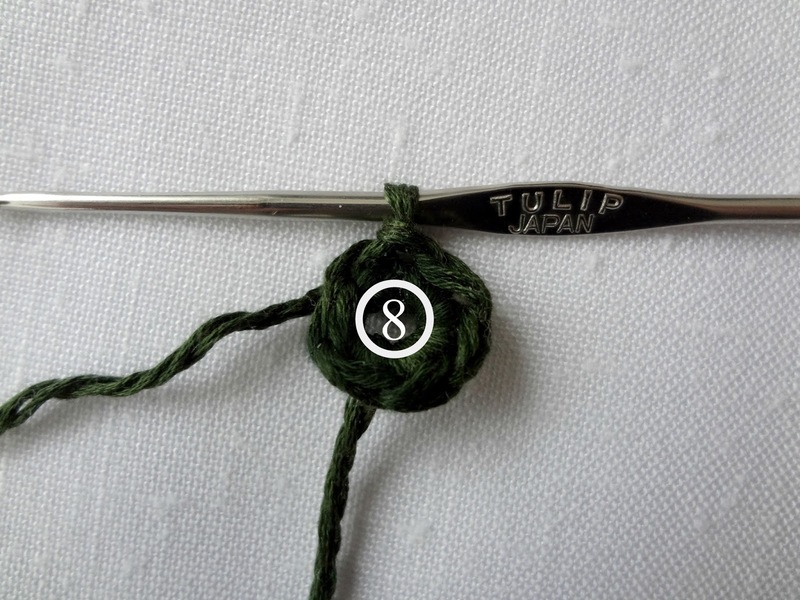 While you crochet, work over the first tail, so that you don't have to work both at the end. 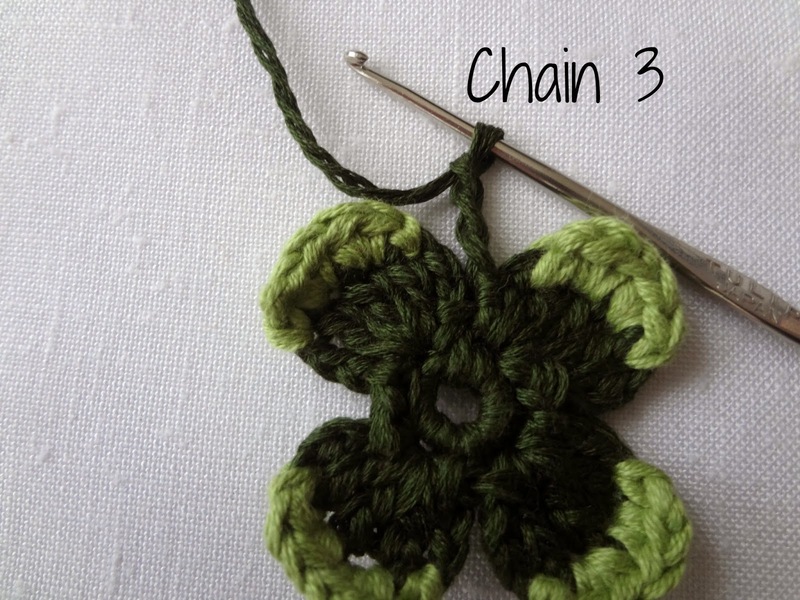 Round 3: Pick up the stitch you left earlier and *chain 3. 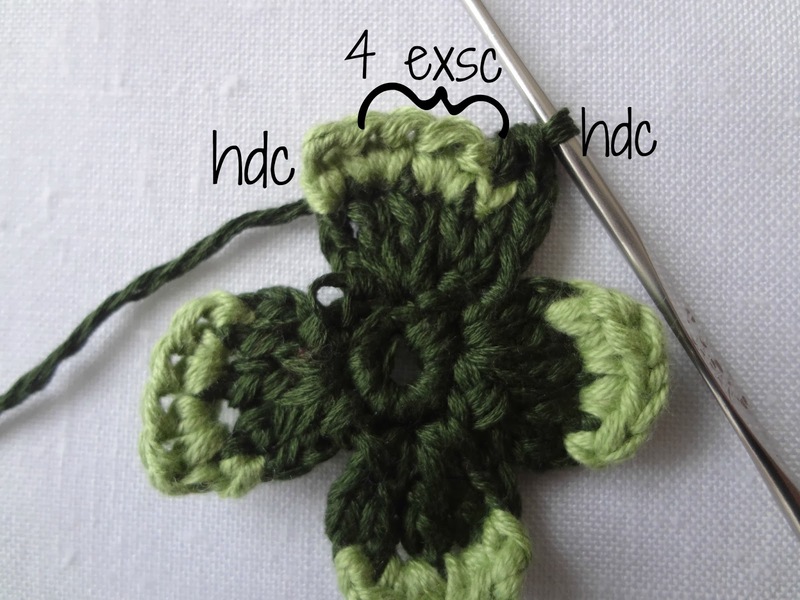 Make a hdc in the first light green stitch, then make 4 exsc (extended single crochet - explained below) and end with a hdc. 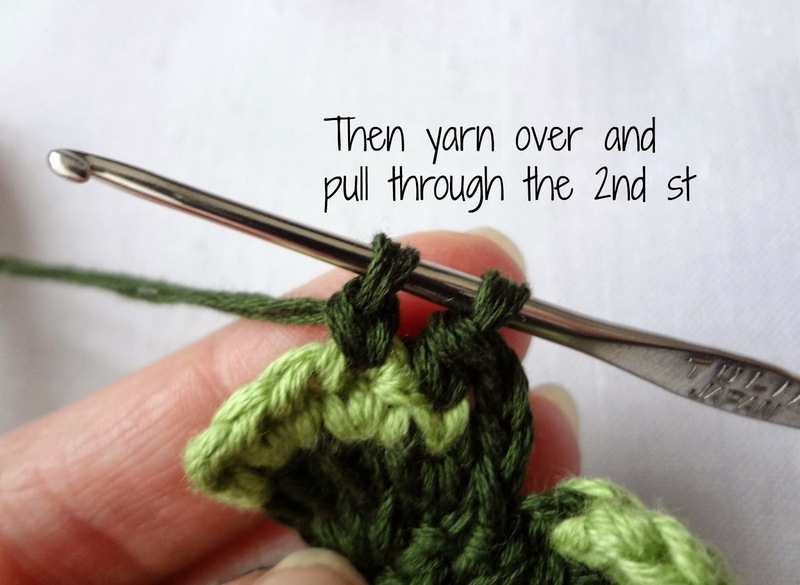 ...then yarn over and pull over through both loops. 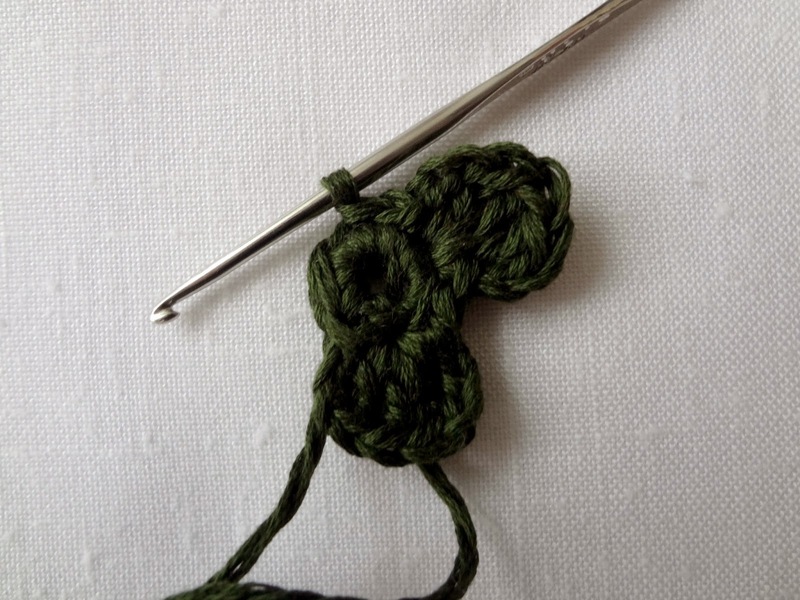 One extended single crochet made. Make 3 more. End with a hdc. Chain 3 and sl st in the base of the leaf. 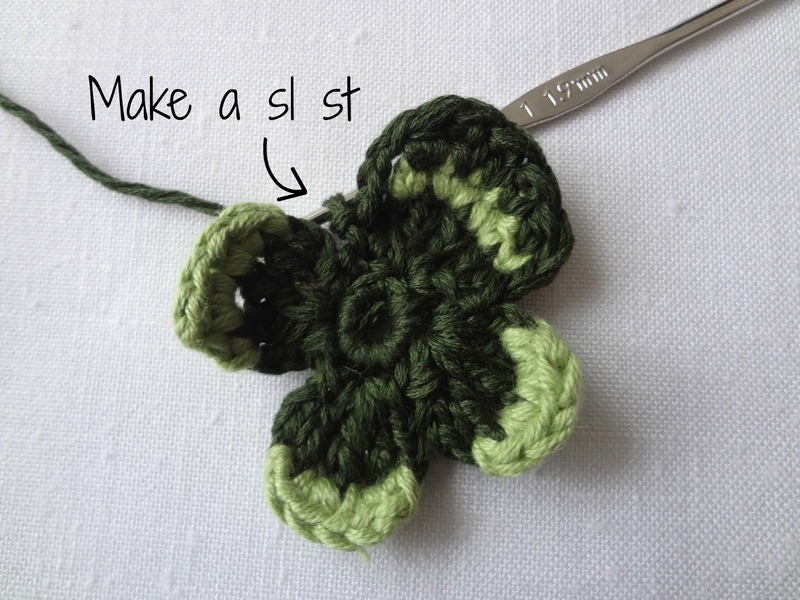 Make a sl st in the next stitch*. Repeat from *to* for all four leaves. 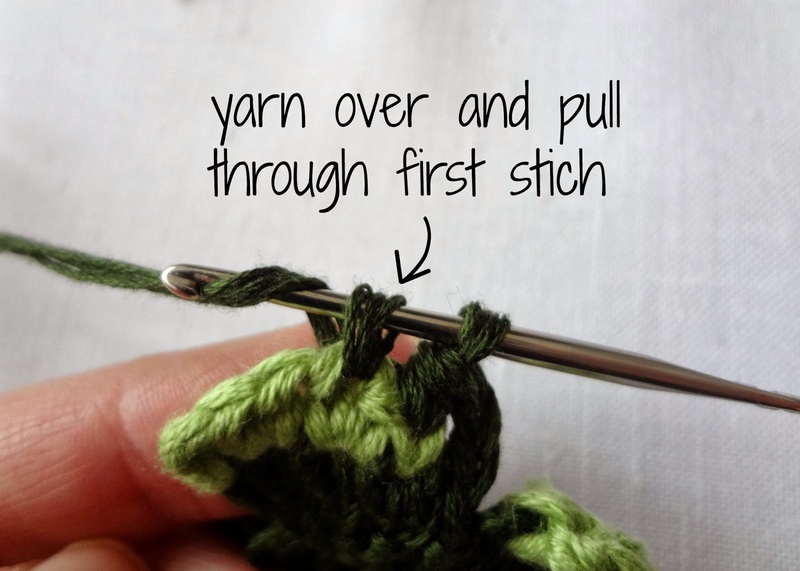 When you finish the last one, don't cut off the yarn; instead chain the stem. 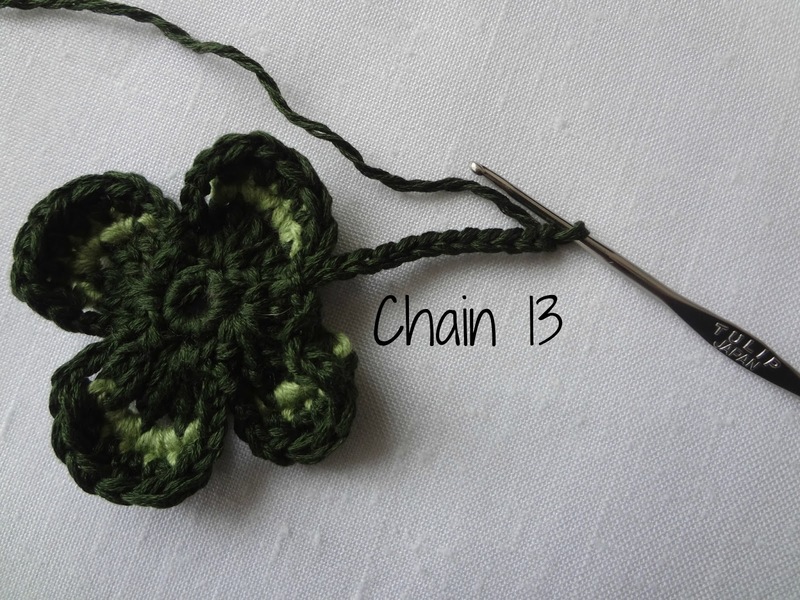 For that, chain 13. 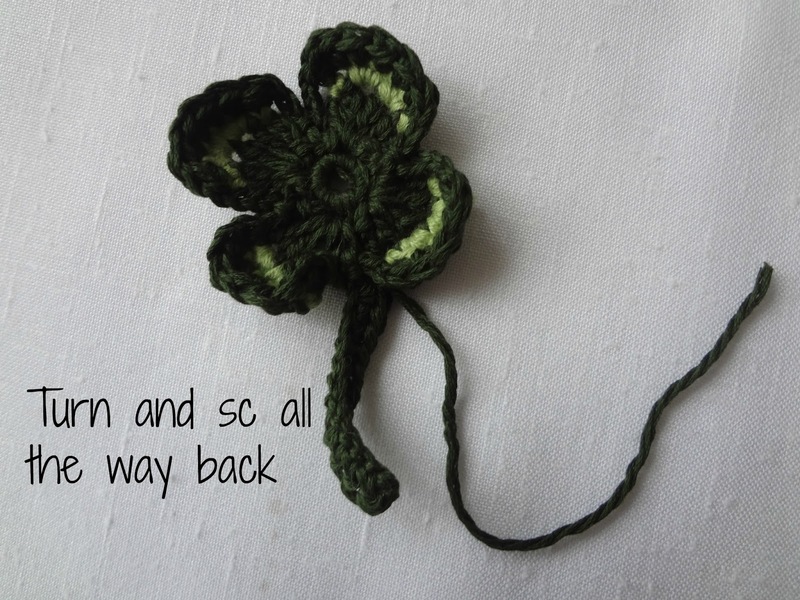 Then turn work and make sc in all the stitches. 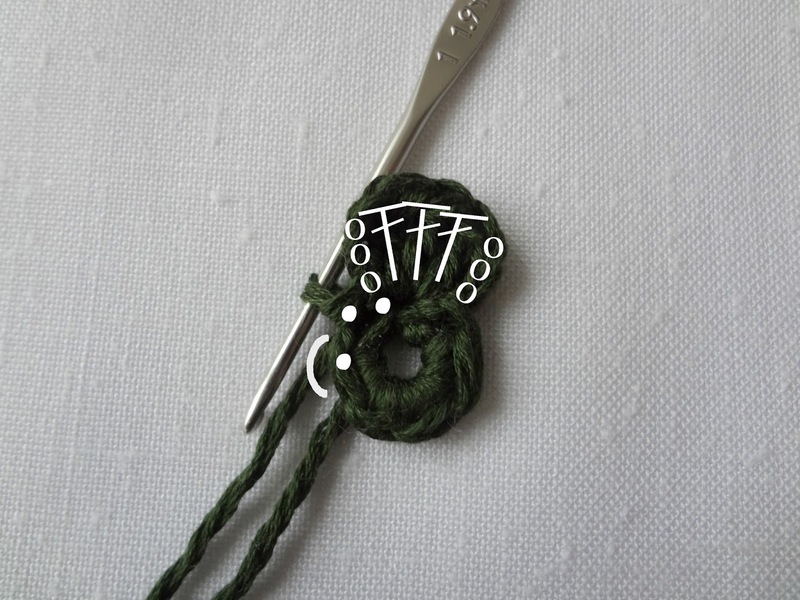 Tie a knot, cut yarn and weave in the tail. This is absolutely brilliant, what a treat and tribute to the Irish! Enjoy your Sunday, I'll be outdoors in a couple of minutes, the sun is shining wonderfully! Love it, very cute idea, thanks for SharIng it. Lovely!!! Thanks for sharing great tutorial! thanks for sharing such lovely piece! The photos with the graphics chart are an wonderful idea! great tutorial! 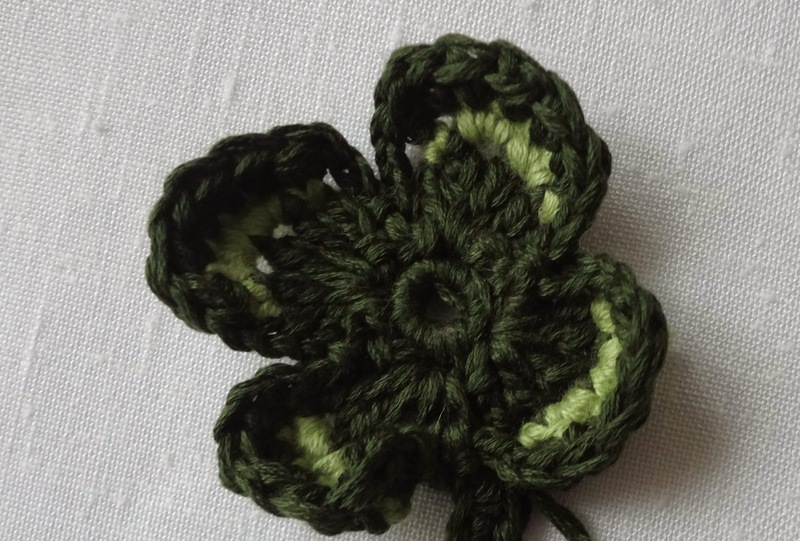 Thanks for sharing this darling shamrock on your #simplybebetsy gallery. Feel free to add your old posts because you have so many wonderful items. We are always impressed how beautiful they are.